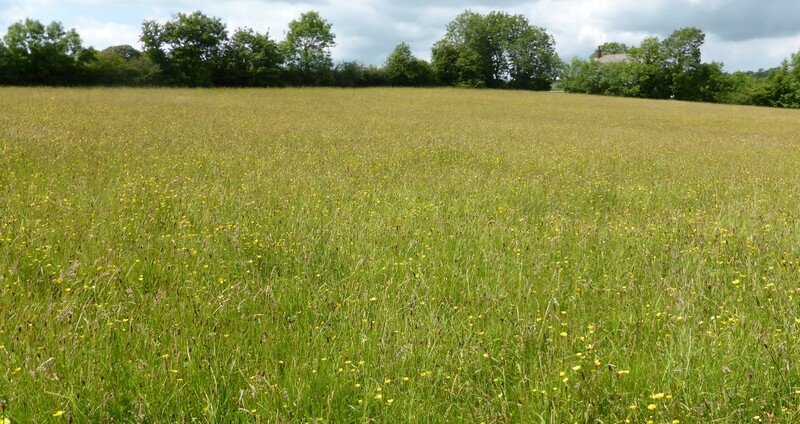 A successful meadow restoration site on the Pembrokeshire / Carmarthenshire border which is now in a position to contribute seed to new projects. 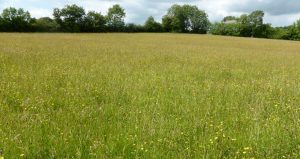 Yellow rattle is particularly abundant, together with some eyebright, ox-eye daisy and a range of other common species. The first orchids have just appeared, and the field is free of ‘weed’ species. Ideal for sites starting from scratch on relatively fertile ground. Species in bold below are generally prevalent in the mix.